Welcome to the EnVision official website ! EnVision is a proposed Venus orbiter mission that aims to understand how and why Venus, the Earth’s nearest neighbour, has evolved differently from the Earth. 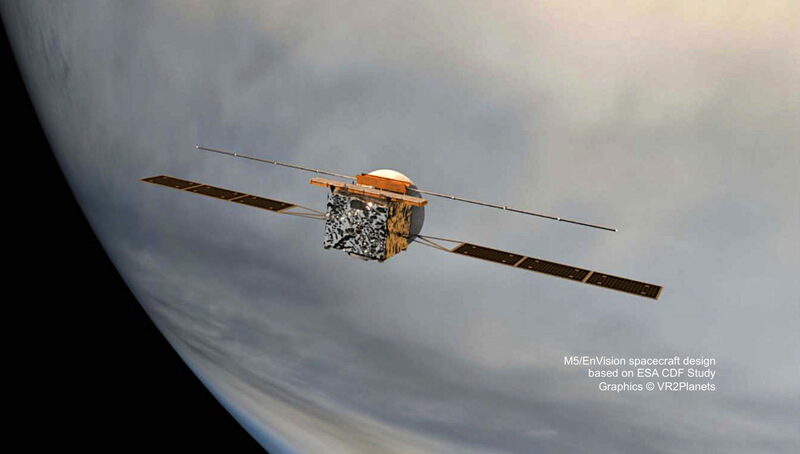 Like so many missions studying the Earth’s crust and interior structure from orbit, EnVision will study the geological activity of Venus in unprecedented detail, using a combination of radar, optical spectroscopy and gravity mapping. EnVision would be a European Space Agency mission, with significant scientific participation from NASA. It is one of three mission concepts competing for an opportunity to launch in 2032. The world map you see just above is composed from a mosaic of radar images taken by the Magellan spacecraft launched May 4, 1989, at the end of the cold war. The mission ended October 13, 1994. This is a “false color” image, which means that scientists have told a computer to use different colors for different surface elevations. Blue areas show smooth surfaces, or possibly surfaces that are covered with dust. Brown areas represent rough terrain. EnVision is an orbiter mission aiming at determining the level and nature of the geological activity and the sequence of events that generated the surface features of Venus, assessing whether Venus once had oceans (and was thus perhaps hospitable for life) and understanding the geodynamics framework that controls the release of internal heat over Venus ’ history. The mission will be launched on an Ariane 6.2 in 2032, arriving at Venus after a five month cruise, to perform 4 years of measurements with 5 cutting-edge instruments : an S-band Synthetic Aperture Radar (VenSAR), a Subsurface Radar Sounder (SRS) and VenSpec, a suite of three spectrometers and spectro-imagers : VenSpec-M (Infrared Imager), VenSpec-H (IR spectrometer), and VenSpec-U (UV spectrometer). Envision will also measure the gravity field of Venus at an unprecedented resolution thanks to a Radio Science Experiment. The mission will provide a range of global maps, image, topographic and subsurface data at a resolution rivalling that available for Earth and Mars. Envision will help understanding why the most Earth-like planet in the solar system has turned out so differently, opening a new era in the exploration of our closest neighbour. Click on video to see how Venus is the only rocky surface of the inner solar system, unlike Mercury or Mars, requiring radar techniques to study its geomorphology and active geological processes (images NASA/GSFC). 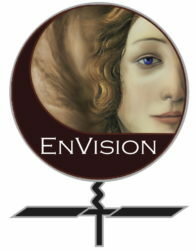 Please explore our menus & follow the links above to find more about Venus and the EnVision project !